Scottsdale is a city in the eastern part of Maricopa County, Arizona, United States, part of the Greater Phoenix Area. Named Scottsdale in 1894 after founder Winfield Scott and incorporated in 1951 with a population of 2,000, the 2015 population of the city is estimated to be 236,839 according to the U.S. Census Bureau. 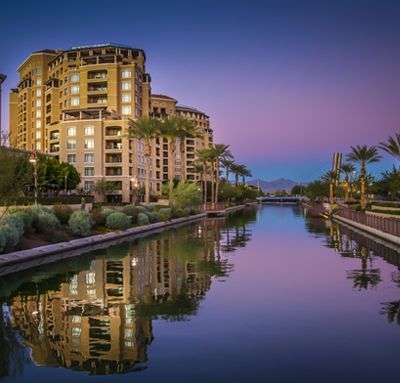 The New York Times described downtown Scottsdale as "a desert version of Miami's South Beach" and as having "plenty of late night partying and a buzzing hotel scene." Its slogan is "The West's Most Western Town."